Graz, Austria — May, 2017 — Vexcel Imaging is announcing the new UltraCam Panther, a versatile portable platform that carries complementary sensors to capture full-spherical imagery and video, dense 3D LiDAR point clouds and precise trajectory information in both indoor and outdoor environments. 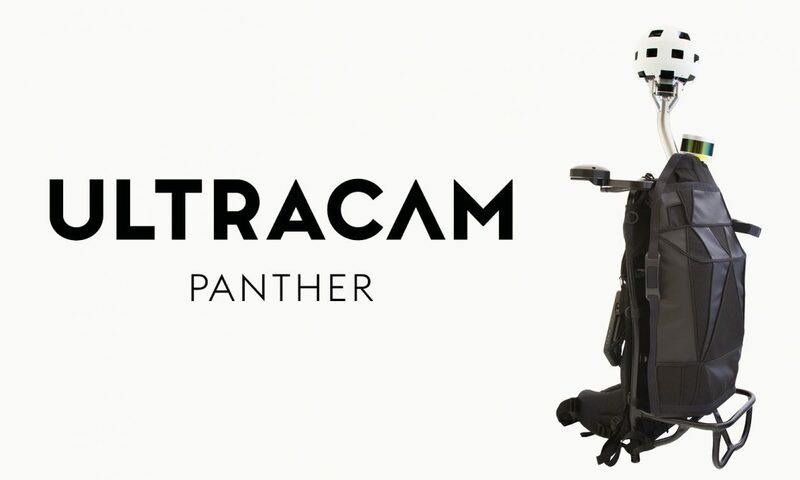 The UltraCam Panther’s panoramic head holds 26 cameras to capture very high resolution still imagery or video with a 360-degree field of view. A multi-beam rotating LiDAR sensor simultaneously collects precise 3D data. A visual odometry sensor offers a custom-built software solution that delivers uninterrupted accurate trajectory data in challenging environments where no GNSS signals are present. The platform’s modular design allows the system to be equipped with sensors offering differing capabilities to accommodate each customer’s needs. All sensors are synchronized and timestamped, resulting in precise registration between the LiDAR data and imagery.